nor the purpose of the library (accessing .ipf disk images) was changed. for Hatari and the licenses of the other code concerned. BeOS, Mac-OSX and other Systems which are supported by the SDL library. CMake (v2.8 or newer) installation, see http://www.cmake.org/ for details. application or "ccmake" to configure them with ncurses UI. build tree. You can then install the emulator by typing "make install". core for ST/STE emulation and the new WinUAE core for Falcon emulation. record MFM exact copies of original games, including the protection. version 5.1 fixes some bugs, as well as adding support for CTR files. from the "User Distribution" section that matches your OS. are buggy and fail the GEMDOS tests. x-terminal-emulator -T "Hatari debug window, invoke debugger with AltGr+Pause"
registering Hatari as a (binfmt_misc) handler for TOS binaries. But registering handlers for mime-types seems desktop specific. directory, Hatari will ask you to select one. by pressing F12, the F11 key will toggle fullscreen/windowed mode. Pressing ALTGR-q will quit the emulator. doc/authors.txt for the e-mail addresses or use the Hatari mailing list. NOTE: size would need to be updated in Hatari config files too! - Profiler support for (030) data cache and new "profile caches"
- Add "os_base" trace option to trace Fopen/Fclose/Pexec/Pterm*. - Set default value of nSpec512Threshold to "1" instead of "16"
when a drive is OFF or empty. section start. If former fails, try latter when loading symbols. - "next" and "dspnext" commands support optional "instruction type"
the checked value (when both sides of conditions are identical). - Increased max partition size in atari-hd-image script to 512MB. - New hatari_spinloop.py script for post-processing loop profile data. was the standard deviation of that. in the meanwhile) could get data that was out of date. - Fix: MIDI IRQs were not enabled if MIDI was enabled at run-time. - Fix: max resolution limit wasn't handled properly for ST mode. - Don't change TOS-calculated font size for VDI mode. - Setup NVRAM video mode based on VDI mode, when in VDI mode. -> 's' shortcut is now for "step", not "save"
Hatari options given through its control socket can be quoted with ''. gave a black screen and was not usable. http://hatari.tuxfamily.org/. Please update all bookmarks! - AVI recording supports non integer frame rates. - User's desktop size is used as max limit for Videl zooming. with (a non-zero) argument, opcode/call name table is shown. "video" subcommand for showing video related information. "cookiejar" subcommand for showing cookiejar contents. symbols are loaded, what were the most used symbol addresses. monitor aspect ratio correction and maximum zoomed Hatari window size. new floppy image, one can directly insert it to A: or B:. entering the debugger, e.g. disassembly or memdump from given address. video/cpu sync (fixes TCB in SNY, DI in MindBomb, TEX in Syntax Terror). - "keyDebug" configuration file setting was renamed to "keyPause"
http://hatari.berlios.de. Please update all bookmarks! - Hatari emulate printer port capture more accurately. - Improvements in the DSP emulation core. - Statusbar shows also in fullscreen. - Removed obsolete BIOS interception code. - Fixed a bug which prevented GEMDOS loading on Amiga. - Added Falcon DSP emulation. - This is just a bug-fix release, without new features. - Fixed some compile problems on non-unix-like systems (like MingW). - Fixed crashes in Spec512 emulation code ("Dan Dare 3" and little endian ARM). - Blitter source address is not incremented anymore in operation mode 0 and 15.
of the right side (fixes "Just Musix 2" menu for example). - Hatari now works on 256 color displays right again. instead of the $HOME directory itself. - Improved VDI resolution mode (resolution can now be change in small steps). - The 'Frame Skip 8' option can now be correctly selected, too. - Fixed some bugs/problems in the GEMDOS HD emulation (with Fopen & Fcreate). - Keyboard shortcuts for saving and restoring memory snapshots. - Hatari can now be compiled with CeGCC, too. - Fixed some problems with the FPU emulation. NeoN Grafix renders now right. - Writing to floppy disk images works now also with TOS 4.0x. - A lot of source code clean-up and beautification. with 60 Hz refresh rate. - Fixed memory snapshot files (some important data has not been saved before). - It is now possible to automatically load/save memory snapshots at start/exit. - Fixed some bugs in the file selection dialog. - Some minor improvements in the GUI: Improved text edit fields, "Cancel"
user before resetting and quitting the emulator. - The Hatari executable is now relocatable (so the RPM can be relocated, too). - It's now possible to enable special trace output with the "--trace" option. - The size of the borders can now be specified in the hatari.cfg file. - Fixed Spec512 screen plotting on big endian machines. - Native screen conversion functions for 32 bpp host display mode. - Reworked the command line options. - Added missing read for "clr" in 68000 CPU mode. - Cycle correct MULU/MULS/DIVU/DIVS in 68000 CPU mode. - Don't change illegal 68000 opcodes $8, $a and $c if no cartridge is inserted. - Ensure ACIA has consistent values when reset. exact synchronisation with the 68000. - Support for all left/right border removal, including 0 byte lines. - Support for hardscroll on STF, including the most recent ones using 4/5 lines. - Basic Atari TT and Falcon emulation! - Keyboard shortcuts for loading & saving memory snapshots (AltGr+k & AltGr+l). - Better Spectrum 512 support (60Hz support, improved I/O memory waitstates). - STE right border opening support (used in Obsession, Pacemaker). - Blitter Smudge mode support (used in Pacemaker demo). - Wheel-mouse simulates cursor up and down. - Work-around to FDC handling, --slow-fdc option is not anymore needed. - Bugfix to MFP, sound works now in more YMRockerz releases. - Bugfix to GEMDOS path handling (Hatari SIGSEGV). - Re-written command-line option handling. - (Again) lots of code const/static, type usage and indentation cleanup. resolutions and doesn't need PMMU. - Native GUI for Mac OSX. - Joystick shortcut changed to toggle cursor emulation between ports 0 and 1. - Keys for all Hatari shortcuts can now be configured from hatari.cfg. - Added command line option for setting ST keyboard mapping. the joystick cursor emu is enabled. - Fixed relative mouse event handling in zoomed low-rez. - Fixed sync delay timings - sound should now be better (e.g. on Mac OS X). - Added basic support for compiling Hatari with MinGW. scrolling, split screen effects), DMA sound and STE joypads. See the manual for a list of working STE applications/games/demos. - Hatari can now emulate up to 14 MiB ST RAM instead of only 4 MiB. - Support for parallel port joysticks. - Improved GEMDOS HD emulation (added Fattrib() call). - Adding and removing a GEMDOS or ACSI hard disk should now work correctly. - Re-factoring of the screen conversion functions. - Improved manual: Now with screenshots of the options dialogs. - As always: Code cleanup and bug fixes. - No more crashes when a program tries to access illegal sector numbers. - Improved built-in ROM cartridge. - Rewrote the IO memory emulation code -> Better compatibility. - Emulated CPU can now also be run at 16 MHz or 32 MHz. - File selection dialog scrollable with mouse wheel or cursor keys, too. - Hatari now works on 64-bit host CPUs, too. - Floppy disk images can now be set writable/write-protected in the GUI. - Hatari can now also load a global configuration file (e.g. /etc/hatari.cfg). - Again some code cleanup and bug fixes. - Added --window command line option to force a start in window mode. - Added alert boxes to show warnings, errors and information messages. - PC mouse pointer is now better in sync with the ST mouse pointer. - It's now possible to load an alternative cartridge image file. - A lot of internal code cleanup and bug fixes. - Added a dialog for creating new blank floppy disk images. - The source code has been optimized for better emulation speed. seems not to work reliable yet. Help for debugging is very appreciated!). 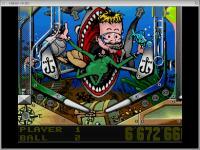 - Some bugs in the 68000 emulation have been fixed. necessary (instead of crashing the emulator). - Timer-D is now patched correctly again. - The fonts are now linked into the executable. - Added support for DIM floppy disk images. well tested, so be warned! - New build system (with a "configure" shell script). - A disk image destroying bug in the MSA compression function has been fixed. - It is now possible to redirect the printer output into a file. - Experimental MIDI output support. - Added the possibility to save memory snap shots. 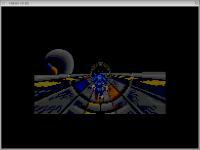 - Pending HBL and VBL interrupts are now emulated correctly (I hope). - GEMDOS HD emulation now also works with EmuTOS. - Support for ZIP and GZIP compressed disk images! - Configuration file support for loading and saving the emulator settings. - Hatari now works on machines with Sparc CPUs, too. - Added Mega-ST compatible real time clock (RTC) emulation. file names) and many bugs have been fixed there. - Hatari can now be cross-compiled, too. You can even compile it for MiNT now. However, it does not run very well there yet. - Support for RAM TOS images. more like on a real ST). - Improved M68k exceptions (bus errors and exception cycle timings). disk changes should now be working, too. however the UAE CPU core only updates the SR when doing a MakeSR() first. So this is done in the affected code parts now, too. - The IPL wasn't raised when a MFP interrupt occured - fixed now. - Improved audio timer function - the code should now be a little bit faster. instructions like ABCD and SBCD. - Added patches for TOS 2.05 so that this TOS version should now work, too. - Rewrote TOS patching routine. It is much more flexible now. - Removed 0xa0ff opcode for VDI resolutions; using GEMDOS_OPCODE now instead. - Fixed MMU RAM size configuration bug. - Rewrote some more screen conversion functions in C.
right exception handler routine. This has been fixed now. - Patches for big endian systems (Spectrum 512 pictures are now working there). - Hatari now also compiles and runs under Mac OS X. - Blitter emulation has been added. - There is now the possibility to save YM or WAV sounds. - Big VDI resolutions (e.g. 800x600) are now supported, too. - Added graphical user interface for configuration of the emulator settings. - Real joysticks can now also be used to simulate the ST joysticks. - Support for hard disk images. - High level (GEMDOS) harddisk emulation. - ST-Med/ST-Low mixed mode now works. - Improved CPU cycles emulation. - Added the possibility to switch between fullscreen and window mode. - ST Medium resolution conversion routine. - Added possibility to grab screenshots. - Sound support (not working very well yet). - Joystick emulation via cursor keys. - ST-LOW resolution conversion routine is now working on big-endian machines. - Added Stefan Berndtsson's patch for big-endian machines. Hatari now runs also with non-x86 Linux machines! Thanks Stefan! - Rewrote the ST-LOW resolution conversion routines in C ==> ST-LOW now works! at the WinSTon BBS (Thanks to Ladislav Adamec for the hint). - Cleaned up the source tree a little bit. - Rewrote some more assembler functions. FDC emulation now works! - SDL Keyboard code finished and included a SDL-Key -> ST-Scancode table. - Added very simple SDL support. - Rewrote a lot of assembler functions in C (e.g. intercept.c). Desktop shows up, but no mouse and keyboard interaction yet. - Made the WinSTon source code compilable with GNU-C.
- Added the UAE CPU sources.